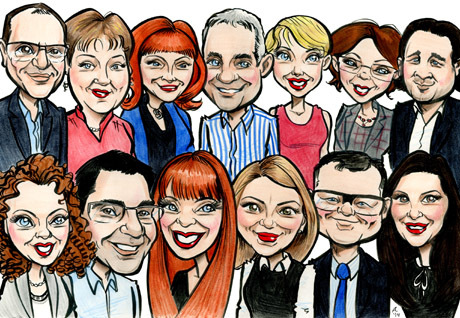 Moving away gift ideas: this caricature was a going away gift from this lady’s colleagues in the company, and was printed onto an A2 card with this group caricature of the rest of the crew inside! 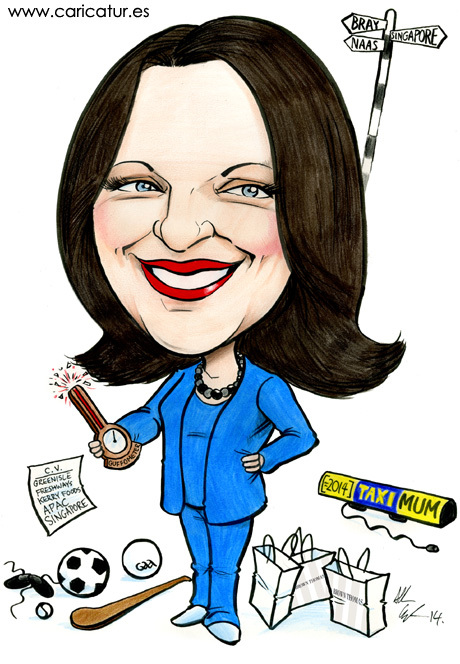 This is a series of 15 caricatures I did for Netwatch’s staff of the year awards in January. Each caricature has a little reference to the job the staff member fulfils in it. They’re a great wee gift for staff awards! Live Caricatures of the Irish Dental Association in the Radisson Blu, Galway!